How to be a School Principal/ Administrator? Every teacher aspires and ruminates on how to be a school principal/ administrator but often don’t realise that it takes a lot of patience, rapport and teaching experience to get there. Surely, the position builds path to a successful long, prosperous and satisfying career, but requires adequate leadership and management skills. What are the requirements to be a School Principal/ Administrator in India? A Bachelor’s degree certificate alongside Master’s education in courses such as education leadership or administration, makes it easy for an individual to secure the principal/ administrator position. In India, having a Bachelor’s degree is basic and necessary. Kindergarten, elementary and middle school teachers must hold a four-year degree in education and have fine subject knowledge. Despite the fact that a preschool teacher may start working while studying, it is essential for him/her to have college education prerequisite for administrator’s seat. In India, some CBSE, CISCE, IGCSE, IB and International educational boards require educators to revise basic subjects such as math and science to test their qualification. Secondary teachers are additionally required to have studied a specific branch of knowledge. Every teacher requires a legitimate teaching certificate that certifies them in interactive teaching methods, classroom and student management, academic strategies etc. In order to acquire the certificate, candidates must have a bachelor's degree and good teaching skills, strategic methods, and subject knowledge. Generally, a candidate needs to have at least one to five years of teaching experience in a particular branch of knowledge or subject. Teachers, before venturing into administrative positions, must possess good motivational, leadership, decision-making, critical-thinking and communication skills. Acquiring work experience in the education field supplies aspiring elementary, pre-primary and high school principals with basic knowledge in the teaching field, roles and responsibilities, and classroom practices. What is the Job Description of a School Principal/ Administrator? One of the key role and responsibilities mentioned in a school principal’s job description is: work along with parents, students and teachers to provide a trouble-free and serene study environment at schools. What Makes School Principal’s/ Administrator’s Job Easy? The advancements in technology, Internet and smartphones brought in an entire dimension of new and imaginative platforms for school principals and administrators to simplify daily job and day-to-day school operations. EduSys is one such innovation that provides administration with necessary tools to conduct activities which simply operations in institution. 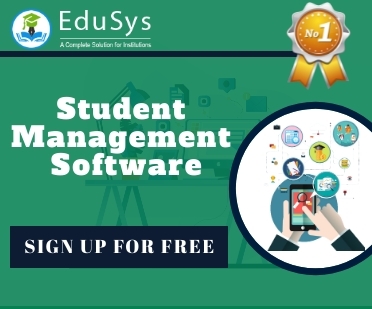 Anywhere from registering students into school, assigning students to classes, tracking school bus vehicles, tracking students, teachers and faculty’s attendance, fee payments, creating assignments, to even publishing exam results can be done using this application. This portable application can be accessed on mobile phones as well. How much Salary can a School Principle/ Administrator Expect? 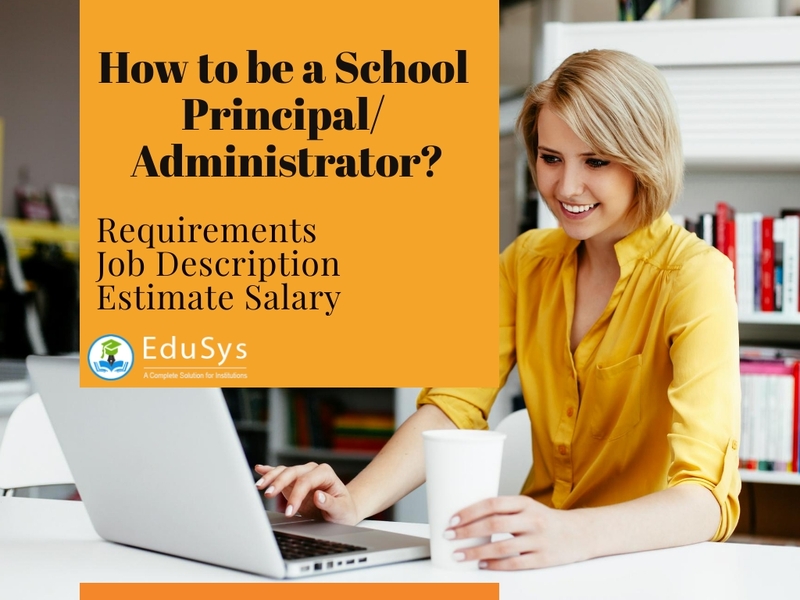 The salary of a school principal depends on various factors such as level of experience, educational qualification, geographic location, institution’s type (Government or Private), educational board, etc. In countries like the United States and Australia, the approximate average salary ranges from $ 60,000 to $ 140,000 per year. Whereas in India, a high school principal can expect a basic pay of anywhere between Rs. 30,000 to Rs. 50,000 per month. The pay goes even higher for college and university administrators.